Cruiser skateboards, in our opinion, are one of the best boards to have. They are so much fun to try real tricks on and make short work of getting around. It’s hard to do tricks on cruiser boards, so even the most basic trick is a lot of fun. Rock and rolling a cruiser board is one of our favorite things to do. However, cruiser boards are not made for tricks, what are cruiser boards made for then? Well, we’re glad you ask! What is a cruiser skateboard? A cruiser board is a board that you can use to get around on. They have soft wheels to soak up bumps and cracks and slightly looser trucks than a normal board for easier turning. A cruiser board still has a nose and a tail like a normal board so you can still use it as a normal board, but they are intended to be used for travel rather than tricks. Cruiser boards are often used by people to get around a city or for filming other skaters. Thanks to the soft wheels, they are so comfortable to ride around all day, and as these wheels soak up the bumps, stones, and cracks, they offer a stable platform for filming skateboarding too. 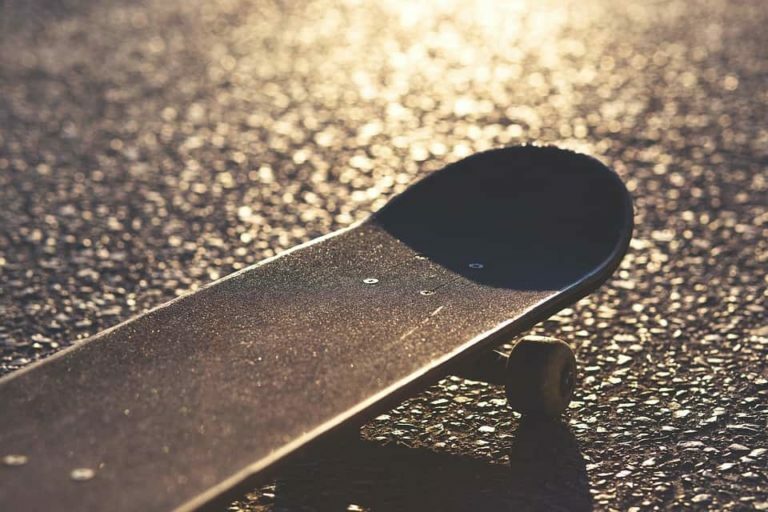 A cruiser board is basically all of the good bits of a normal skateboard, longboard and a penny board combined in a smooth ride that you can still do tricks on. Let’s take a look at the differences between a cruiser board and all other types of skateboard. You’ll notice that there aren’t too many differences, but there are some subtle ones that help to create a unique skateboard that is a lot of fun to ride. A cruiser board is very similar to a normal skateboard, with a few differences that make them tricker to do tricks with. The length of a cruiser board is very similar to a normal skateboard, but the width is normally bigger. 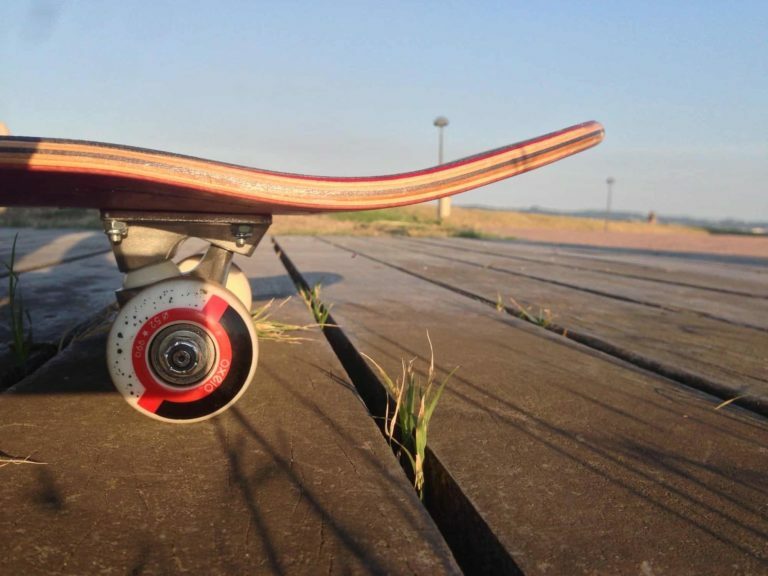 The wheels of a cruiser board are also different. Cruiser board wheels are softer meaning that they can soak up bumps and stones and things, and provide a smooth ride for the user. This makes tricks difficult because the wheels bounce when you pop the board and land. Also, because cruiser boards are wider and this means that they have wider trucks, they are heavier than a normal board. This, once again, makes it difficult to do tricks on them. So, although you can do tricks on a cruiser board and they are extremely fun to try tricks on, they are really designed to be ridden rather than tricked. The main difference between penny boards and cruisers are that penny boards are made from plastic and cruisers are made from wood. This makes cruiser boards a more stable platform as penny boards often bend quite a lot when you ride them. Penny boards are also smaller than cruiser boards, for the most part. Cruiser boards are wider and longer than most penny boards meaning that they are easier to control and, in our opinion, far more fun. Where penny boards and cruiser boards are similar are the wheels. Both have soft wheels that offer a lovely ride. Cruiser boards differ from longboards mainly in size. Cruiser boards are roughly the same size as a normal skateboard. Some are a similar size to penny boards, but none are too much bigger than a regular board. 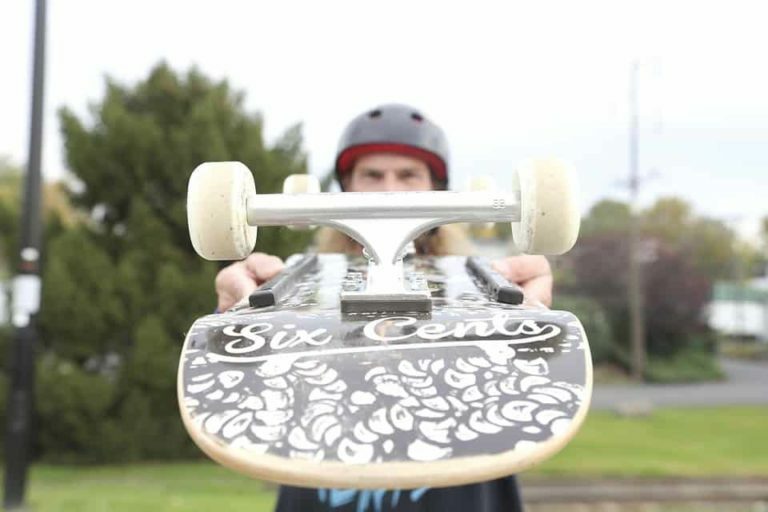 The trucks of a cruiser board are the same as a regular board too which are different to longboard trucks. Now, we don’t longboard so we don’t know the true difference between normal skateboard trucks and longboard trucks, but they look different, so that’s why we are mentioning it. Another difference between longboards and cruisers are that cruiser boards have a nose and a tail, like a regular board. The wheels of a cruiser board are the same as a longboard, so they provide a soft and smooth ride. If you are a longboarder and want to learn how to ride a normal skateboard, a cruiser board is the best step to take. It will provide a similar ride, but you’ll have the control of a regular skateboard. So we’ve covered the difference between cruiser boards and all the other types of boards available. In our opinion, cruiser boards combine the best elements of every type of board. They offer the control of a normal board with the fun of soft wheels from longboards and penny’s. So, what is the best cruisers board available in the world? Well, once again, we’re glad you ask. Here are our top picks for the best cruiser boards in the world right now. Prepare to have some fun! These boards from Flybar are so much fun. They are similar in size to a penny board, but they are made from Canadian maple. This means they don’t bend as much, so they are slightly more stable than a penny board. However, because of the size, they can be just as difficult to skate. The wheels and the trucks on this board are really nice. They aren’t pro-grade or anything but will last the life of the board and provide a lot of fun along the way. Each style offers a new shape and size, but our favorite style is the Old School. This comes in at 8 inches wide and 27.5 inches long, a great size. It also has a tail with a huge concave and a small nose which all adds up to a lot of fun. This board feels great to cruise on and it is a lot of fun at the skate park too. This Kryptonics complete cruiser board looks damn cool. It has a great shape, slightly old school in style which is perfectly okay with us. It also only has one kicktail. This means that the nose is flat so it may not appeal to those who fancy having some fun and learning some flip tricks on a cruiser, but for those who just want to cruise, it is great. The soft wheels are 60mm so you won’t need to push too often when you’re flowing around the streets. The trucks are solid cast aluminum, so they are built to last and go fast. The riser pads are also designed with speed in mind. They have a slight angle on them and a higher weight which means they ready for the need for speed! 8 ply maple board, normal skateboards only have 7 plys so this is built to last! This complete only comes with ABEC 3 bearings so make sure you check out our list of the best skateboard bearings as you’ll want to stick some faster ones on this beast! We love the style of this Globe cruiser board. The design is beautiful with half of the bottom of the board blacked out and the other beautifully stained maple. Speaking of maple, this board is made from 7 plys of the stuff, glued together with resin. The resin provides the strength, and the strength is good! This board comes in at 9 inches wide and 31.25 inches tall. This is a big board, perfect for cruising but also for having some fun at skate parks too. The nose and tail on this board are massive, and it actually feels great to ride because of this. The big tail offers a lot of control for beginners and a lot of fun for the more advanced. This Santa Cruz cruiser very nearly stole our top pick just because of its shape. It looks like a surfboard which is awesome for a cruiser board because it is the closest to surfing as you can get without getting wet. This board comes with 65mm wheels that are nice and soft which make it perfect for getting around with speed. It is also 8.8 inches, so it is a nice solid base just for getting around town on. This cruiser is great for cruising or tricks. It looks great and feels amazing to ride. The trucks are well built, not the best trucks on this list, but nowhere near the bottom of the pile either. This is a superbly made cruiser board that will keep you cruising for a long time. Our top pick for the best cruiser board in the world right now has to be this beast from Santa Cruz. It has one of the most iconic graphics in skateboarding on it, the screaming hand from Santa Cruz. Plus, it also has the best hardware of all of the complete board on this list. First off, it has Slimeball 60mm soft wheels perfect for cruising, it also has Krux Trucks, some of the best skateboard trucks in the world and it comes with rails! The fact that it comes with rails means that it is already set up for what we love to do with cruisers, skate the park with them. Really this cruiser could be used as a bowl board, and it would make an excellent bowl board, but the soft wheels also make it perfect for cruising down the street. This is a classic and will be perfect whether you want to ride bowl or ride a board to the office in the morning. ABEC 3 bearings again! Grab some better bearings for this beast and hold on tightly! So, that’s our list of the best cruiser boards available right now. We hope you liked them and we hope that you pick one up and have some fun! Cruiser boards are the best boards in the world for fun and getting around. 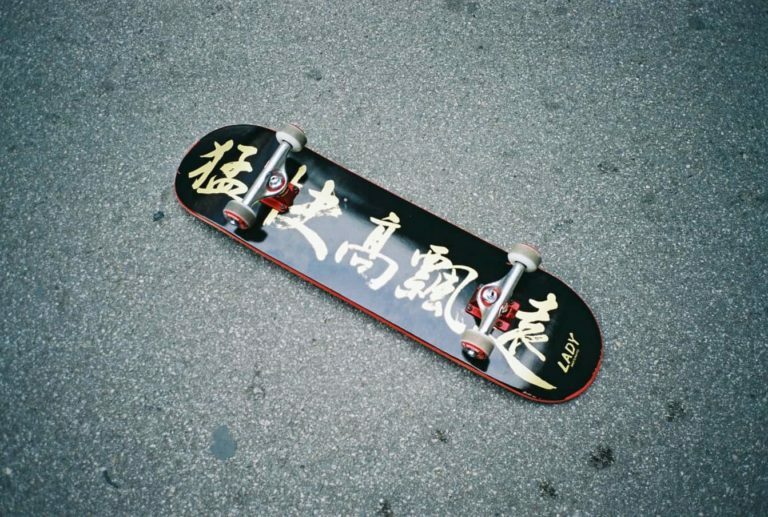 If you’d like to find out about the best “normal” skateboards around, check out our other articles. Or if you’d like to learn the basics of skating to prepare yourself for your first cruiser ride, we have an article all about that too.